Earlier this year Midway, makers of such classic games as Mortal Kombat and Smash T.V., went bankrupt and folded. Pieces of the studio were bought up, and rights to certain games went this way and that. Lost in the whole mess though is something of a disappointment, as we've found out the original creators of the classic co-op game Smash T.V. were working on a sequel. The game was into the actual development stages, with 3D prototypes available. 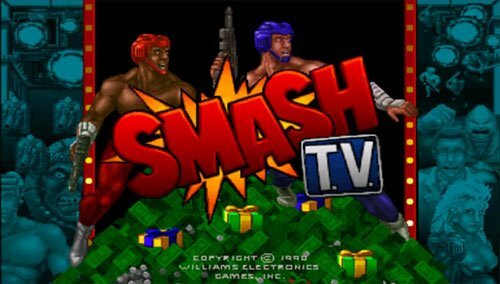 Smash TV was known for it's high paced and bloody co-op action as players faced rooms of enemies in a game show environment. Mark Turmell, the game's co-creator thinks we'll still see it someday, with the popularity of twin stick shooters on XBLA and PSN being at a high. Warner Bros. now owns the rights, which they bought for 400 toasters and five 2600" TVs.